When you divorce, your former spouse may not be the only one trying to get visitation with the kids. You may have former in-laws vying for time with the children, as well, which can be an unwelcome prospect if you feel there is good reason to keep grandma and grandpa away. While most people think that time spent with grandparents is a good thing, those involved in toxic relationships know that this isn’t always true. The laws in Arizona bring good news and bad news. Grandparents and even former stepparents who have formed a bond with the children can get court-ordered visitation with your children. However, the standards are higher for them than they are for natural or adopted parents. Typically, the grandparents will see the children whenever they are with the parent who is their own child. Therefore, if your former spouse’s parents want to visit with their grandchildren, they will typically do so when the children are with your ex. That might be every other weekend or during the holidays, depending on the visitation schedule you have set with your ex-spouse. If your children’s other parent does not have visitation, the grandparents may try to get visitation on their own. For example, your former spouse may have been deemed unfit to have visitation or may have decided to not be a part of the children’s lives. The grandparents may decide that they want to be awarded visitation on their own, and they do have rights in Arizona to seek visitation if they have an already established relationship with the children. Grandparents may also sue for visitation if one parent dies and the other is attempting to cut off contact with the children. As with all issues related to child custody and visitation, the court is going to look at what is in the best interests of the children involved, including what kind of relationship they had with the grandparents before, what kind of relationship they have with the custodial parents, and so on. Most attorneys will tell you that it is better to work out these kind of issues with the parents directly, rather than trying to take them to court. Whether you are a grandparent suing your own child for visitation or suing the other parent for visitation, you are certainly going to be damaging the relationship with one of both of them. That will not only make future discussions about the children more contentious, but it can also have damaging effects on the children themselves. When you are married to someone who has children from another relationship, you become like another parent to those children. You become responsible for their care, and you likely grow to love them as your own. If that marriage dissolves, you don’t want your relationship with those children to end. However, most of the attention is paid to how much time the children get to spend with their natural or custodial parents. Fortunately, Arizona law does give you rights to continue seeing the children if you have developed a close relationship with them. Just like grandparents, stepparents have the right to continue seeing the children. The case can get complicated pretty quick if there are two parents involved who want to share time, as well as you, the stepparent. It will get even more complicated if there are grandparents or even other stepparents who are also angling for time with the children. It is important that you always work with an experienced family law lawyer whether you are a stepparent or grandparent looking for either visitation or custody of children. 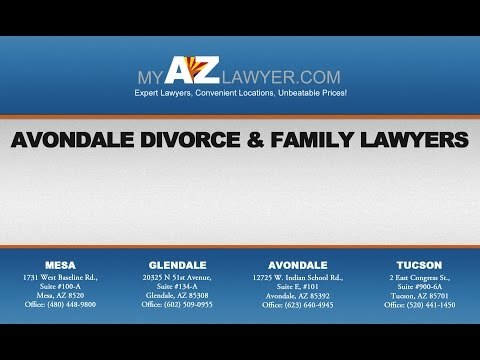 My AZ Lawyers can help. Our experienced family law lawyers can advise you about your rights, whatever your relationship is to the child and whether you are trying to get a formal visitation plan or even outright custody. Call us today to learn more about your legal options and to find out how we can help you.